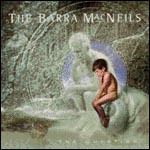 Once again keeping the public guessing, the Barra MacNeils unleashed this incredible work. Picking up where Closer to Paradise left off, Stewart MacNeil (and his co-writer David Cross) created a minor masterpiece. 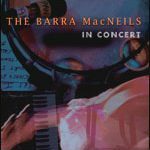 The roots of Celtic/maritime music are still there, but there is much more in this melting pot of pop, rock, jazz, and country. Their version of “The Ballad of Lucy Jordon” is both sad and downright frightening; the accordion and Lucy MacNeil’s sweet and gentle voice create a chilling listening experience. Some of the songs are heartbreaking, such as “Part of Me,” an incredible song with clever lyrics and a beautiful melody to match. 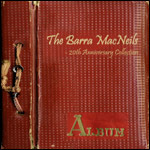 In fact, it is very difficult to find fault with any aspect of this album, from the artwork to the music. 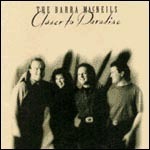 The Barra MacNeils took a chance with this release, and did not see the commercial success (in Canada) that they had for Closer to Paradise, but The Question left its listeners knowing that this band had finally come into their own, and that they could create very original material while maintaining their original roots and influences. 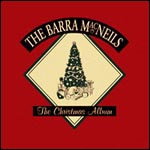 A wonderful, highly recommended record.